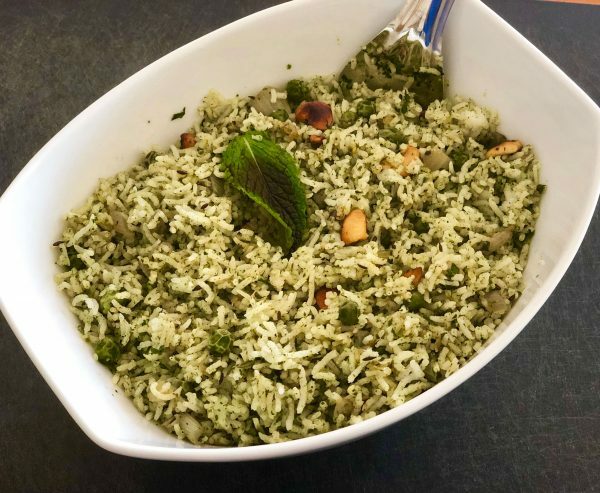 This is one of the easiest lunch/rice recipes. Perfect for summer afternoons, paired with a cucumber or onion raita and a cruncy papad. 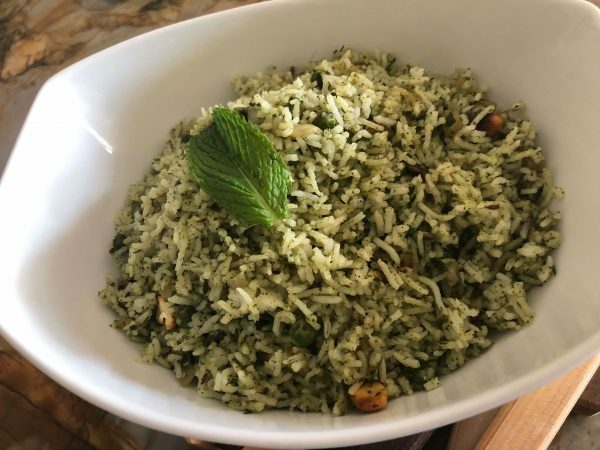 Fresh mint flavors this rice, I don't add cilantro as I want the flavor of mint to be the dominant one. Wash the rice, and soak for about 15 minutes. Cook with 21/2 cups water for basmati rice. 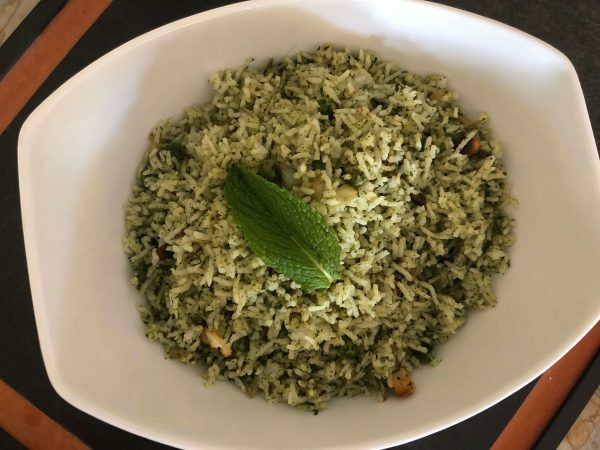 Rice should be cooked soft but not mushy and the grains should be separate. 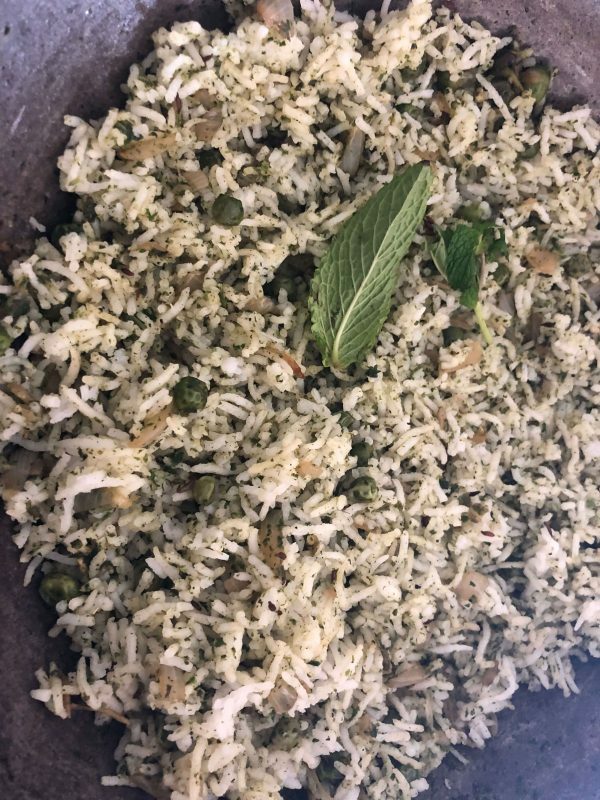 Basmati rice works well for this. 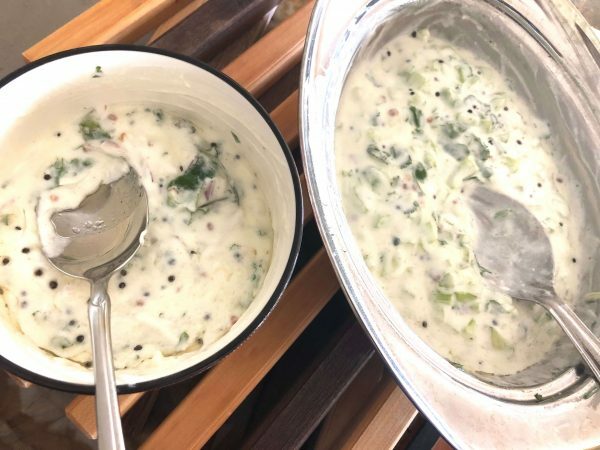 Make cucumber and onion raita: Chop cucumber and onions finely, add to thick yogurt, season with salt and pepper. Temper in oil: hing, mustard seeds, urad dal Add to raita! 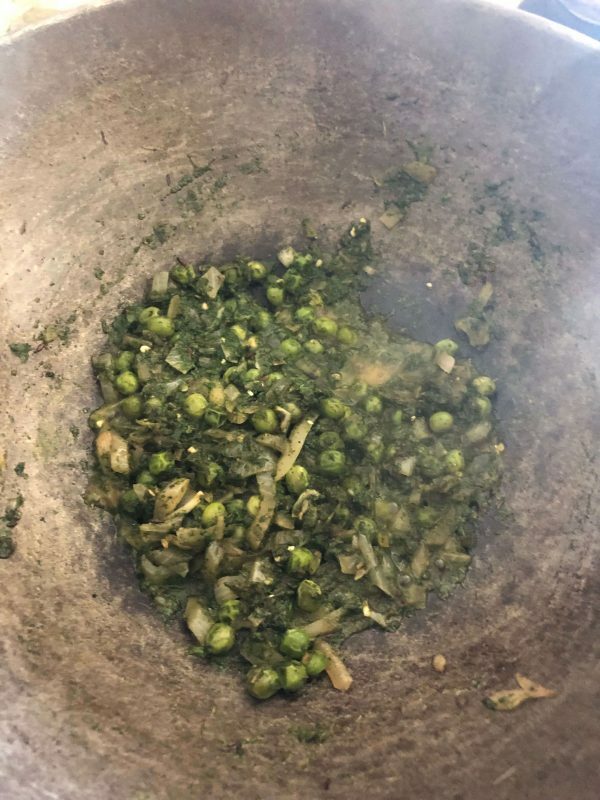 I used 4 green chilies, increase or reduce as per taste. 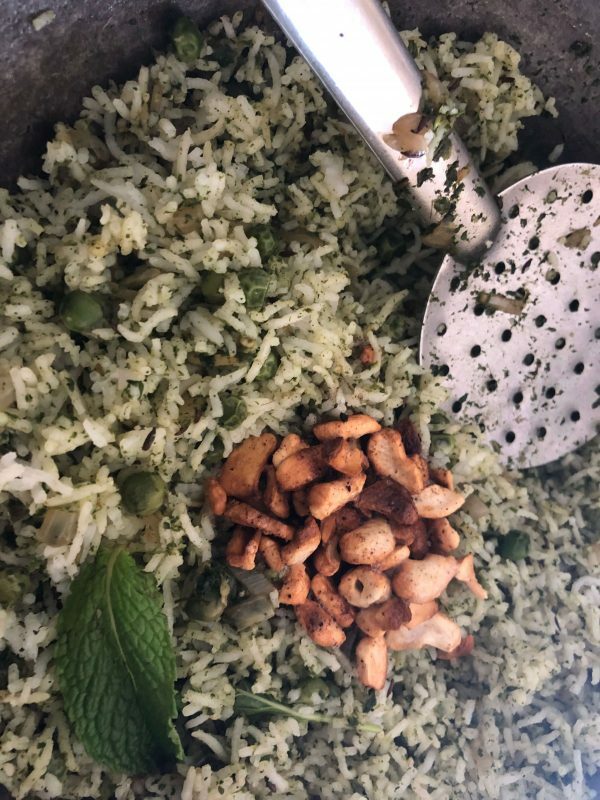 In the tempering of the rice, you may also add whole spices such as cloves, cardamom and cinnamon. I kept this minimalistic and satvik. Same for ginger garlic. If you'd like a spicier version, add ginger garlic paste and saute with the onion until the raw flavor disappears.